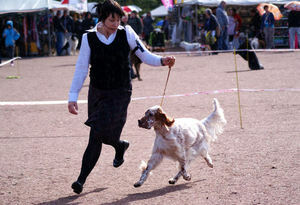 We had nice show weekend, on saturday int. 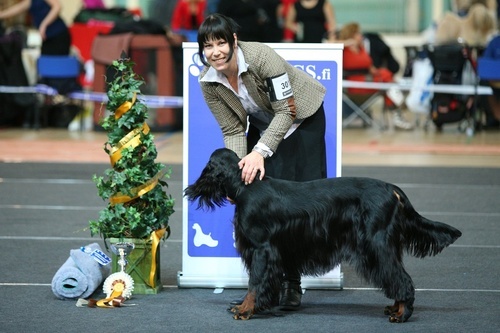 dog show Helsinki Winner Ritailan great Balls of Fire”Tarmo” jun class-2, excellent and Sangerfild Wish Upon a Star “Toni”, open class-4, exc, cq under judge Rainer Vuorinen, Finland. On Sunday int. 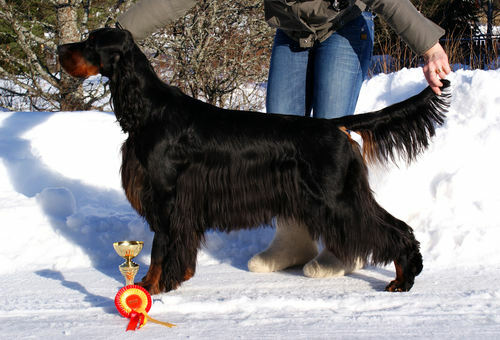 dog show Winner 2012 Tarmo BM-2, jun class-1, excellent, cq, res-cac and junior winner 2012 under judge Hans v d Berg, Netherlands, and Toni open class-3 under judge Rony Doedijns, Netherlands. Happy and of course proud of my boys ♥ It was also pleasure to meet some lovely friends there. 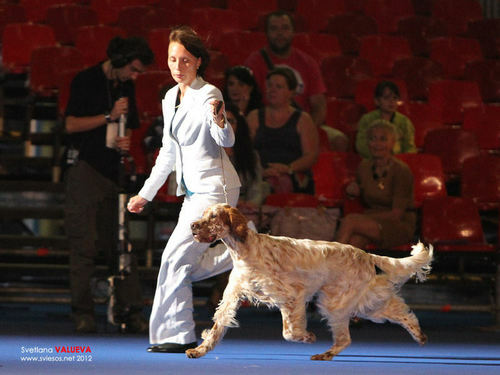 HeJW-10, FiJW-10, LVJW-11 Sangerfild Wish Upon a Star "TONI" got an invitation to the Champion of Champions competition. 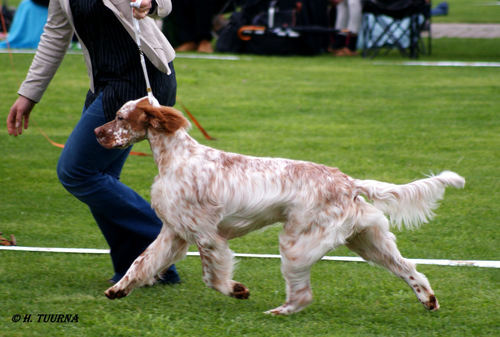 Seinäjoki international dog show, “Tarmo” Ritailan Great Balls of Fire at the age of 13 months: GROUP-1, BOB, CAC, EXC, CQ and “Toni” Sangerfild Wish upon a Star GROUP-3, BOB, CACIB, EXC, CQ under breed judge Malgorzata Wieremiejczyk-Wierzchowska, Poland and group judge Ann Carlström, Sweden. 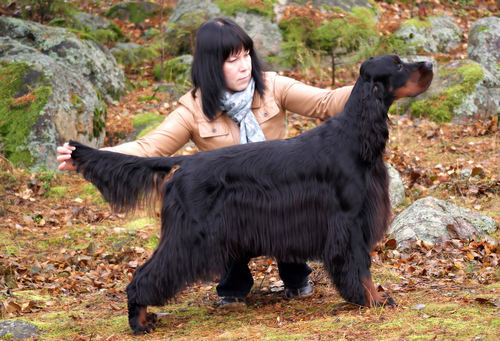 Huge thanks for handling Tarmo at the group competition to his breeder Maaret Korhonen! What a day, Tarmo took today his first tittle European Junior Winner 2012, then also BOB-junior and finally Group-1 junior! 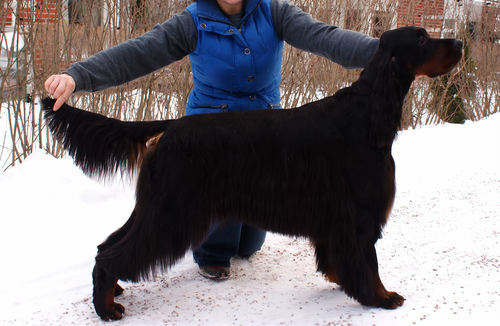 Huge thanks to the Tarmos breeder Maaret Korhonen, kennel Ritailan for handling and caring him! 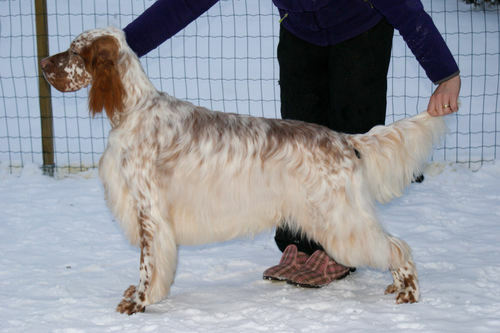 Our english boy Tarmo 1 year now, and looks so adult already. Let the future be bright and healthy with lots of happiness! 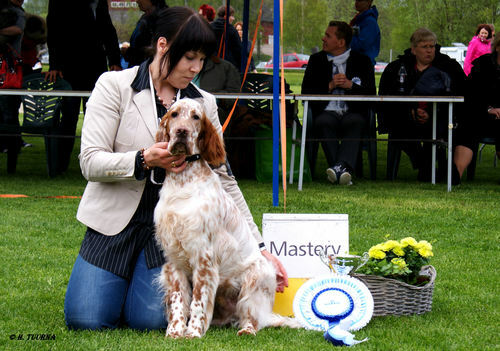 At Porvoo all breeds show "Toni" Sangerfild Wish Upon a Star BOB, CQ and "Tarmo" Ritailan Great Balls of Fire BM-2 , CQ and CAC under judge Claudio de Giuliani. Well done my young boys. 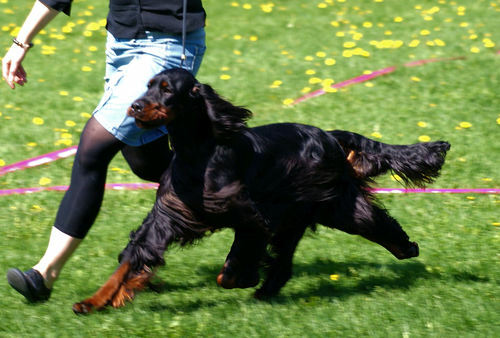 This announce will make me crying again and again… But I know, that this "ones in a lifetime" boy ♥ UKKO ♥ will have loving and caring long life with his new family Marjo and Lasse. I also know that I’ll have news and greeting from them. 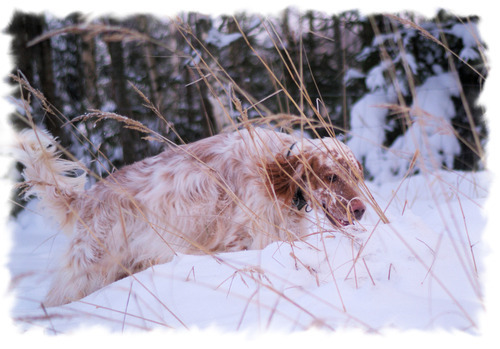 Ukko has moved to his new home few weeks ago, and he is doing great there. I will always miss you dear! You are so special in every way! Toni " Sangerfild Wish Upon a Star BOB, BIG-4 and Tarmo "Ritailan Great Balls of Fire" BM-4, res cac. 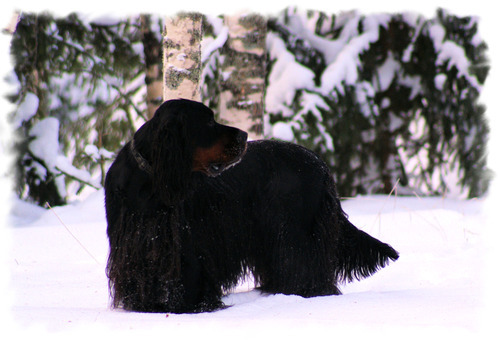 We were at the national dog show for all breeds at Forssa. 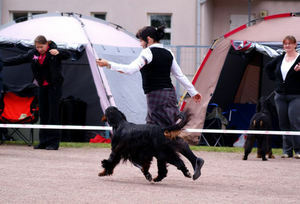 Our "Tarmo" Ritailan Great Balls of Fire second time in the official show; BOB, BM-1, EXC, CAC, CQ and our "Toni" Sangerfild Wish Upon a Star: BIG-1, BOB, BM-1, EXC, CQ. 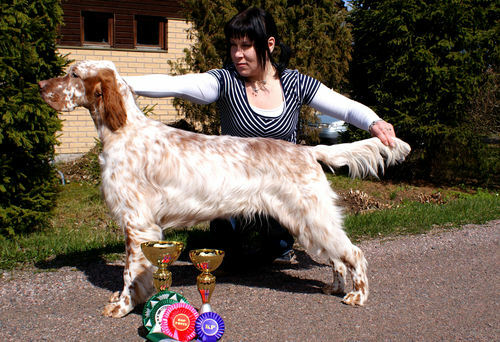 Thank you for breed judge: Hannele Jokisilta, FI and group judge: Juha Kares, FI. Once again I'm so proud of these young boys. 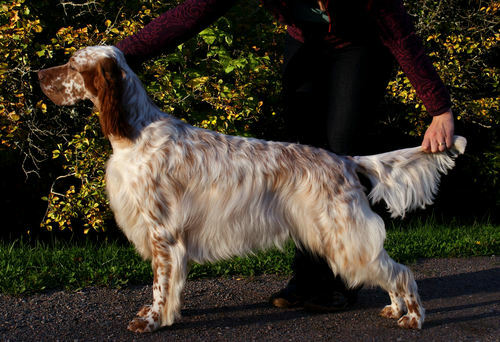 And also want to say thank you to my friend and Tarmos breeder Maaret Korhonen for your help to handling Tarmo at a group ring. 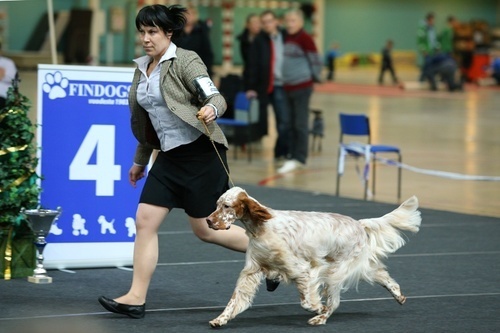 We were at the national dog show for all breeds at Laukaa. 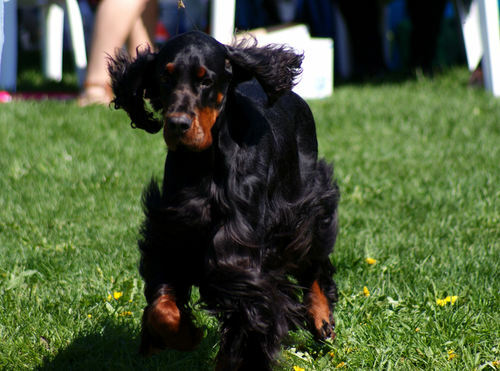 Our "Tarmo" Ritailan Great Balls of Fire first time in the official show, already junior; BOS, BM-1, EXC, CQ and his first CAC under judge Marja Talvitie. 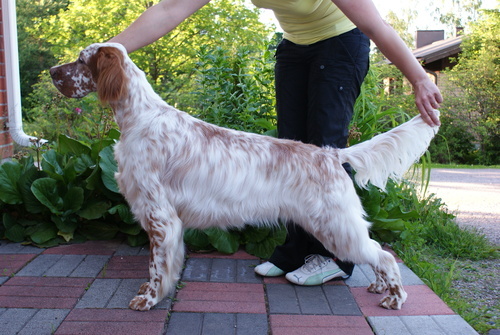 Tarmo already 9months, junior already! Helsinki int. 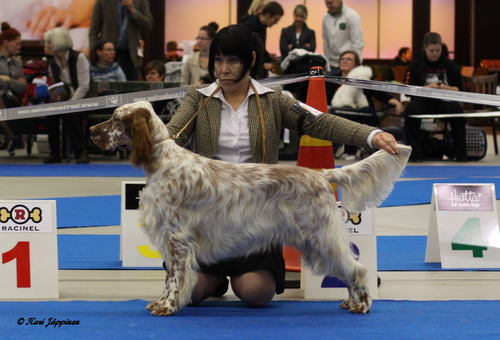 dog show our "Tarmo" Ritailan Great Balls of Fire BOB-puppy with price of honour and "Toni" Sangerfild Wish Upon a Star EXC, Open class-2 under judge: Erja Nummi, FI. 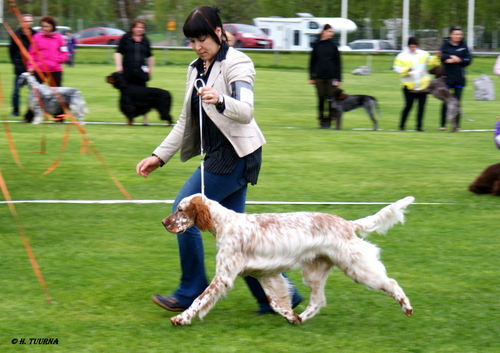 We were at the national dog show for all breeds at Järvenpää. 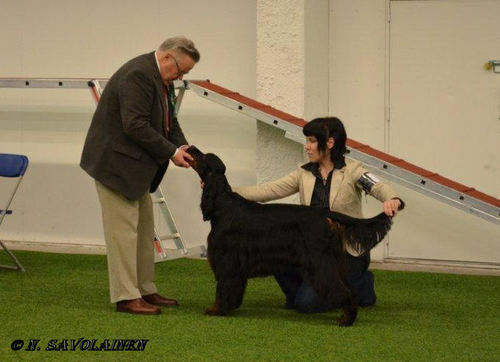 Our "Toni" Sangerfild Wish Upon a Star made my day again, he was GROUP-2, BOB, BM-1, EXC, CQ under judge Tanya Ahlman-Stockmari. 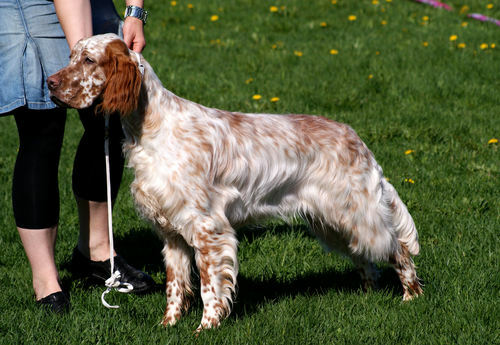 We took a part to Setter and Pointer Club club show with our boys, and there were 79 dogs entered, and it was great sunny summer day. 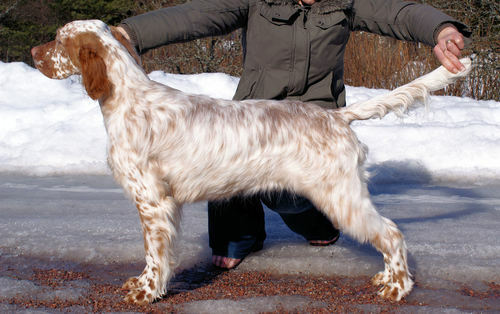 Ritailan Great Balls of Fire “Tarmo” BIS-4 puppy, BOB-puppy with price of honour. 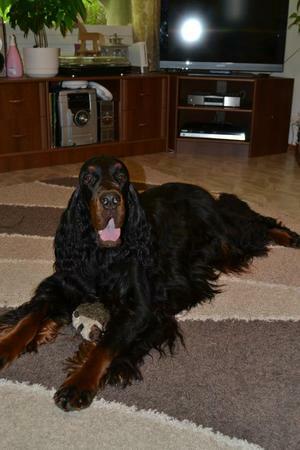 Then under judges Mrs Pia Blatter, Switzerland and Mr Hans Sleeger our Sangerfild Wish Upon a Star “Toni” ♥ BIS-3 ♥ and Ritailan Great Balls of Fire “Tarmo” ♥ BIS-4 puppy ♥. We are so happy and proud. Thank you for the judges: Pia Platter and Hans Sleeger, it was pleasure to meet you again! I'm proud to announce that our Ukko "Moonset Exterminator" is now official confirmed by FCI, C.I.E International Show Champion. 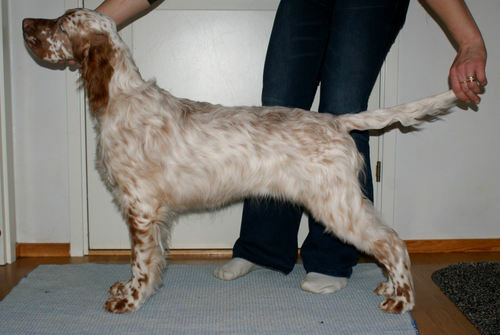 Tarmo is now 6 months old young boy. 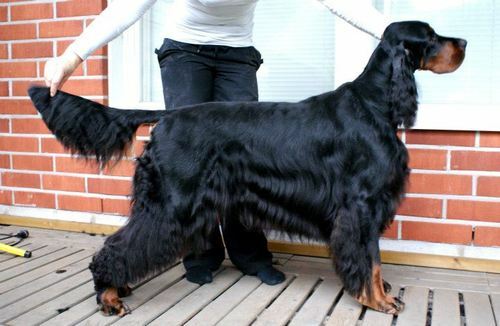 Soon we'll gonna have our first puppy show. Valkeala Group Specialty for the FCI groups 5, 6 and 7/8. 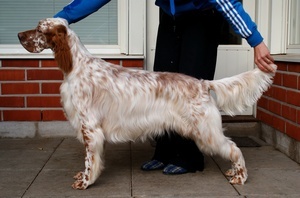 Judge:Pekka Teini, FI. Toni "Sangerfild Wish Upon a Star" BOB, CQ. At the group competition where group 7&8 was combined no placement at the end. 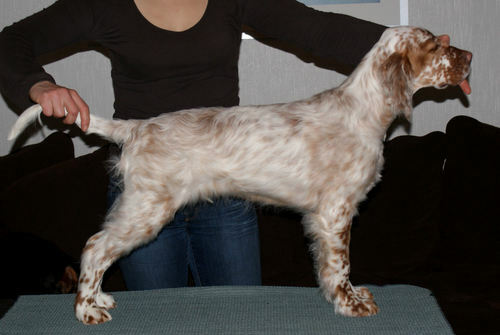 Our little one Tarmo already 5 months. BOB, CQ, and his last CAC. So proud again of my young boy. 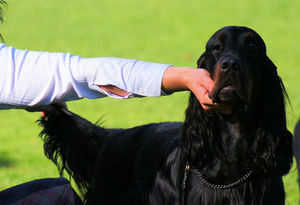 2# young setter in 2011. 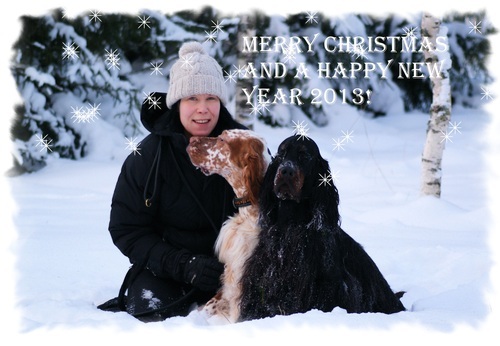 Thank you for these lovely boys to their breeder kennel Moonset and kennel Sangerfild! 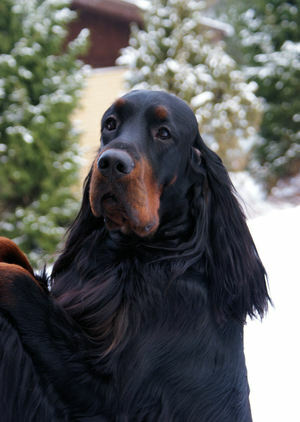 Our dear Toni has his 2 years birthday. How soon time just fly...We hoping that we'll gonna go together many happy and healthy years.